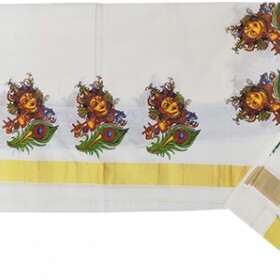 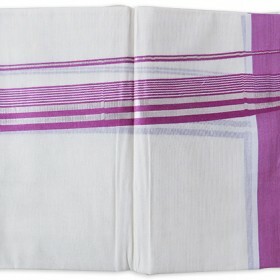 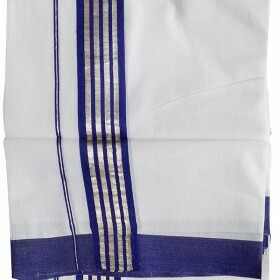 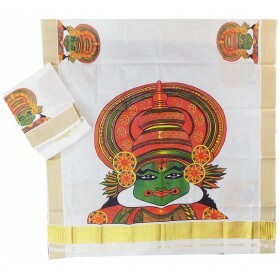 Pure cotton fabric Kerala settu saree with hand painted design is one of the most wanted traditional wear to get a modern touch in your festival. 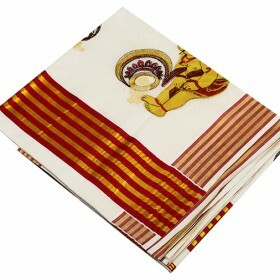 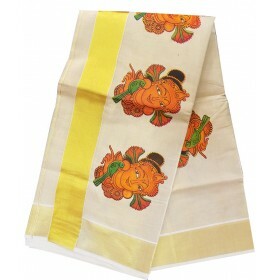 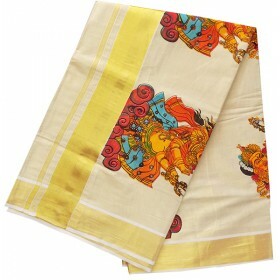 On pallu it has black shade and Ganapathi hand painted design along with thick golden kasavu makes gorgeous. 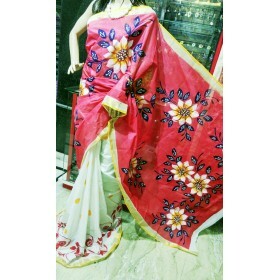 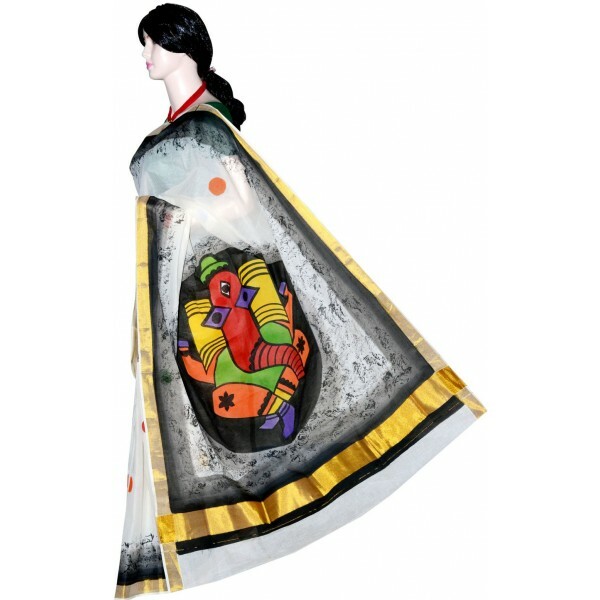 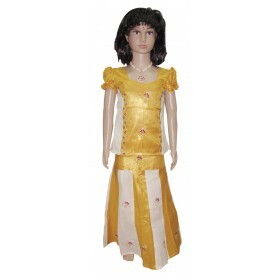 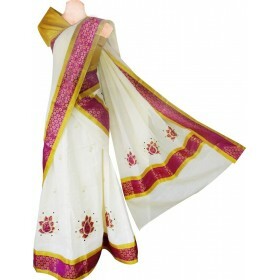 This will be your best ethnic wear to make you beautiful. 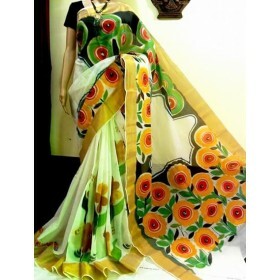 Hurry to get this stunning collection from MALABAR SHOPPING.